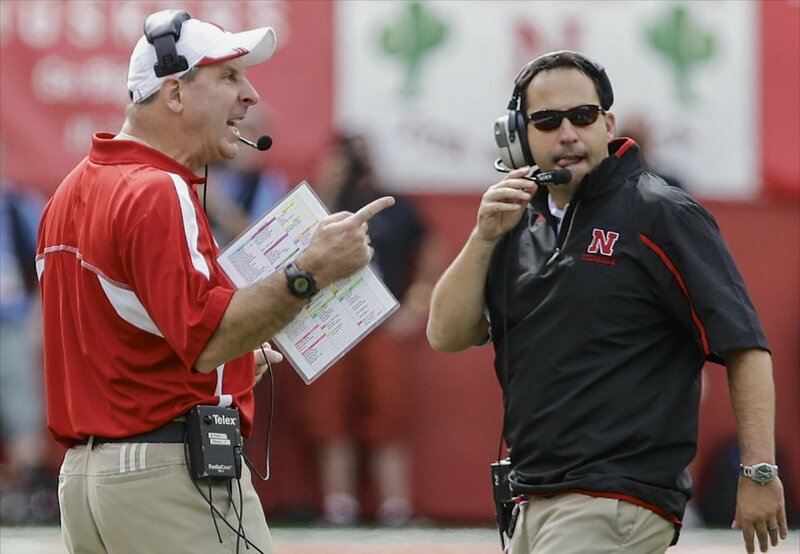 Is Bo Pelini swearing two years ago really a big deal? Nebraska head coach Bo Pelini has made some headlines following a Deadspin report that he went off on a profane rant about local columnists as well as the team's own fans. The headline blares: "Bo Pelini On Nebraska Fans: 'F*** You, Fans. F*** All Of You." This has all come about thanks to someone recording after Nebraska rallied to beat Ohio State on October 8, 2011 before taping a postgame interview. You read that correctly, 2011. And personally, I don't see what all the big deal is and I think this is just about a non-story. I think we have to be clear that the only reason why this clip came out now was after Nebraska's defensive meltdown at home against UCLA in which the Cornhuskers allow 38 unanswered points in a 41-21 loss. the fact that the defense is playing poorly, which is Pelini's specialty, is why this clown leaked this tape now. As to why said loser did not release this tape right after it happened, I have no idea, he may have thought this was some sort of Holy Grail he had to which he would try to bring down Pelini. But I think this story all in all is nonsense and here is why. Coaches swear. Bo Pelini in particular swears a lot. I hope that is not shocking news to anybody, nor should it. Pelini is a fiery guy that will use some colorful language from time to time as he does in this instance. And coaches ranting about local columnists and local media is not much of a new concept either. I really don't care that much about his swearing out the fans, all coaches want the fans to support the team and when they don't, as in this instance when fans were leaving at halftime when Nebraska was down big, it clearly frustrated Pelini that they did not stick around for the whole game. He felt the need to apologize and he chose to do so. End of story. Well not quite because some folks want Pelini to lose his job, which really has little to do with this rant. The rant is a cover for clowns like the leaker and for other Nebraska fans, and a program legend, who are frustrated with the defense looking like trash and above all else, that Pelini is not Tom Osborne. I think Husker fans are in for a rude awakening that needs to realize, to paraphrase Rick Pitino, that Osborne is not coming through that door and the days of program dominance like during his 25-year tenure that concluded with three national titles in four years. Nebraska is not an elite program anymore. The Cornhusker state is not exactly a recruiting hotbed. The facilities are good, but not above the norm. Fans need to realize that. It's why they ran out Frank Solich, who had a pretty successful tenure, and it's why they are not in love with Pelini, who has "only" won nine wins or more every year (Bill Callahan was a different story). And driving out Pelini would not change a damn thing.